Can we have a round of applause for Malibu. Yes, one more time…alright that’s enough. In my opinion that album was one of the best albums to come out of 2016 and I say that with confidence. It was an infusion of melodies, a hybrid of genres, so to speak. An album for the soulful R & Ber’s, the Hip-Hoper’s, the Jazzy ones, the lovers of commercial music, the ones who dig Rock and so forth. Paak came like a modern-day James Brown in songs like Come Down and Carry Me. One of the main reasons why I love .Paak is due to his energy and positivity. He is constantly blessing us with that well needed ‘feel good music’ that has you itching to get up and dance. Not only is he a very talented musician but he is a born entertainer and you can see that anytime he grabs the mic. I do feel that the James Brown comparison is definitely an appropriate one. Brown, during his time exhibited a great degree of charisma and charm that I see expressed in .Paak’s music. Brown gave us an array of timeless classics like I Got The Feelin’, Get Up and I Feel Good. In this video you can quite clearly see why the ‘Brown-.Paak’ comparison is an appropriate one. .Paak certainly helps to keep his legacy alive in a way that appeals to the youth of this generation. I stumbled across the artist whilst I was on YouTube watching sets from the Boiler Room. As you do. I watched a set with him and Knxwledge which I believe to be promo for their joint project NxWorries – Yes Lawd! which is actually out now so go check that out! What I have to say about that project simply won’t do it justice. I will say that Link Up, Wngs and Suede are the tracks you should listen to first. Man, Link Up is such a crazy track I actually hadn’t heard anything like it before… Bad b*tches ought to link up, I honestly can’t get enough of it, even now. Knxwledge produced that. He actually makes the WILDEST beats and if you like him, go listen to another artist called Tuamie who is also very good. (This song happens to be my favourite song of his, after These Waters of course – y’all know I love BJ the Chicago Kid). 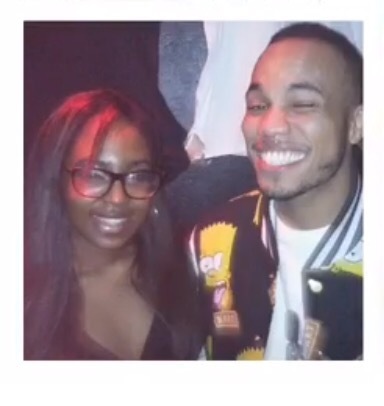 On Thursday 25th February 2016, I went to see .Paak live in concert at XOYO as part of his OFF THE GROUND TOUR and just like his songs the concert was crazy. Hands down the best concert I have ever been to. First, Nadia Rose opened up with Station and a couple more dope tracks before leaving the floor to .Paak and The Free Nationals. I told myself I wouldn’t record anything on my phone, that I would actually soak it all in like they used to do back in the day, when Instagram or Snapchat wasn’t ‘poppin’. Haha. I couldn’t help myself. I ended up recording practically the whole night before my phone decided it was time to give up. The energy was indescribable, the room was packed with people of all ages (mostly teens). I literally had to move to a different spot every five minutes or so just so I could see the stage or better still capture his gaze. I tried finding some of the clips I recorded during the night so I could show you but they were all on my Android. I have since then joined the Iphone family. It was time to leave the pixelated-quality-lifestyle behind and move onto bigger and better things – the Iphone. Nevertheless, I’ll be seeing Erykah Badu in a couple of days and I’m extremely excited about this so you know I’ll be capturing everything from the night to share with you. Regardless, the Anderson .Paak concert was truly a spectacular night. “I have played Malibu so much but it still has that new album feel every time I listen to it. Thank you for ‘feel good’ music. I hope you go really far”. …Cringe. Lol. I managed to get a picture with the artist who actually turned out to be as genuine and humble as they come.